South Florida winter colors at Grassy Waters Park. Plein air morning sketch with iPhone photo reference help. 11×15″ Fabriano Artistico 140lb. cp. 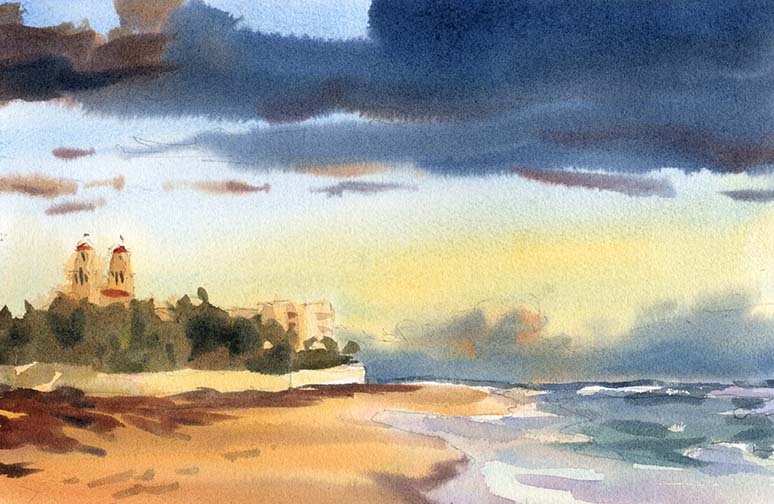 Sketch from plein air study and iPhone reference of the middle to Palm Beach. 9×12 Arches 90lb, cp. 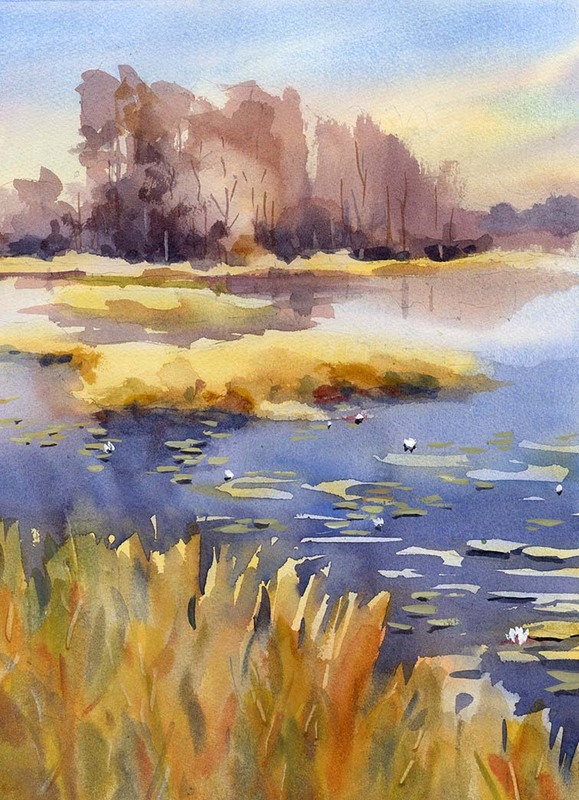 South Florida winter colors at Grassy Waters Park. 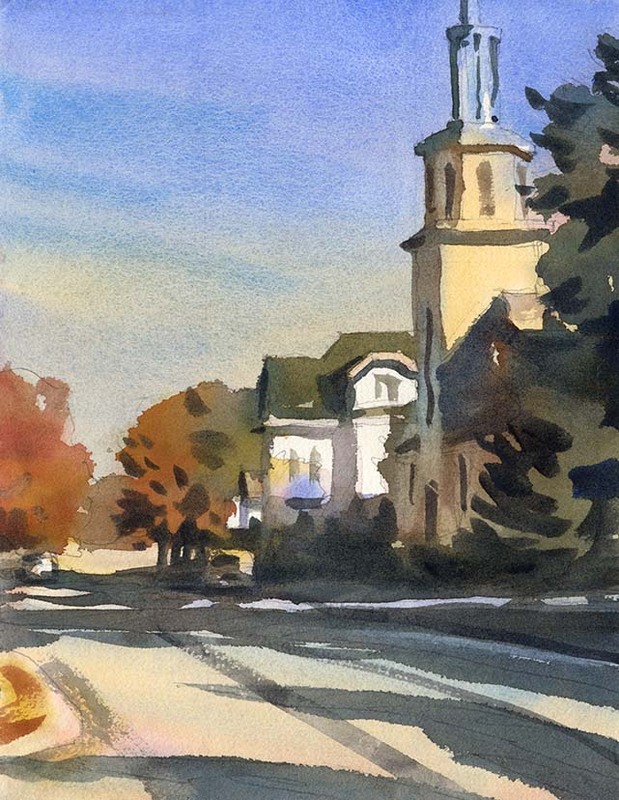 Plein air morning sketch with iPhone photo reference help. 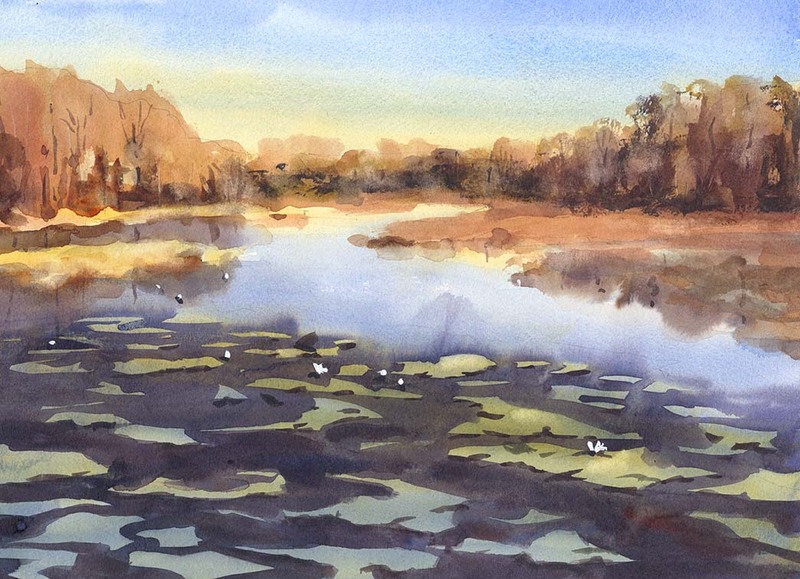 11×15″ Saunders Waterford 140lb. cp. 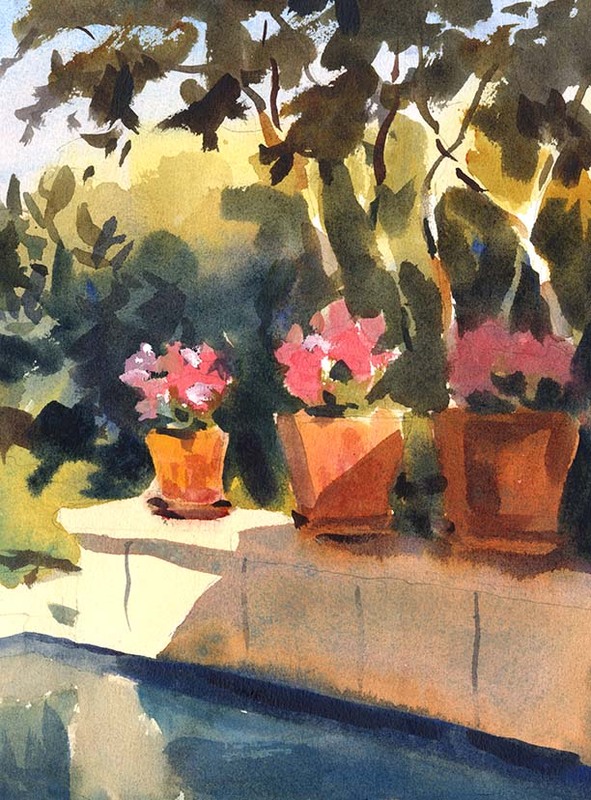 Plein air sketch with iPhone photo reference help of the afternoon light on the pool side flower pots. 9×12″ Arches 90lb. cp. 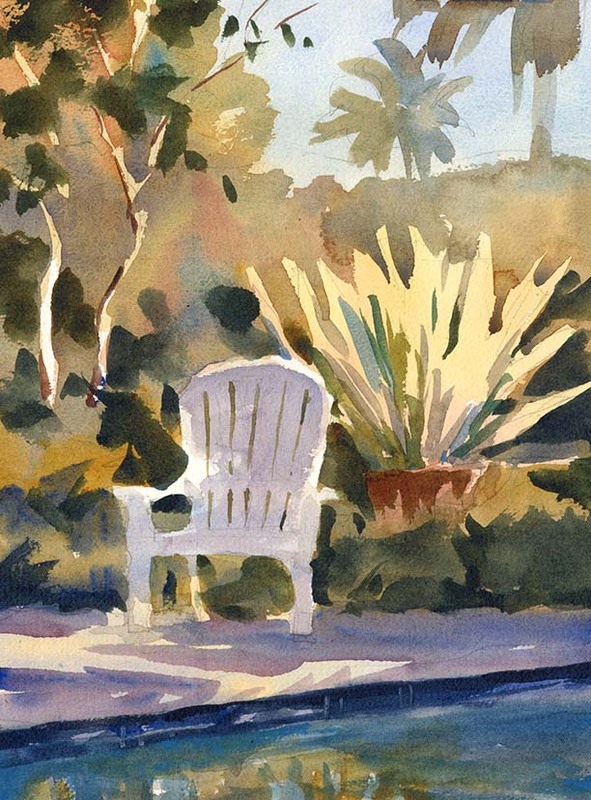 Plein air sketch with iPhone photo reference help of the early morning light on the pool side chair. 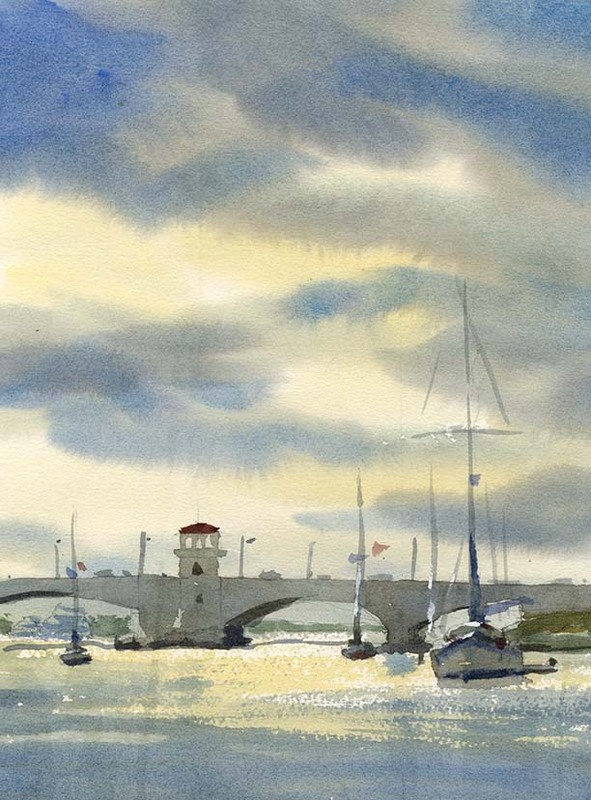 9×12″ Arches 90lb. cp. Continued practice. Graded wash dark to light to dark using arbitrary leftover wash puddles. 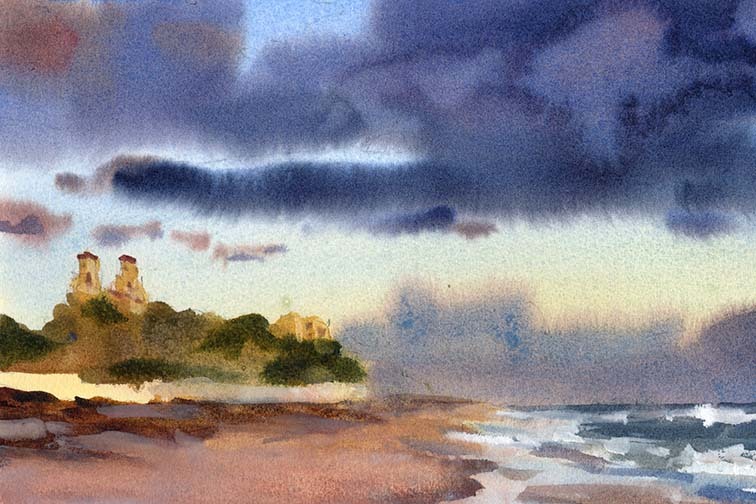 Value study using leftover colors on top of a practice graded wash. Repeating a scene, testing pre-wetting the paper, leaving whites, working wet into wet with sequential light to dark washes. Continued practice. Painting from a photo, doing a value study, testing pre-wetting both sides of the paper for one sketch and then one side for another. Leaving whites, then laying sequential light to dark washes, working wet into wet. Sensing the timing and density of wash applications, painting all in one go. Making mistakes.